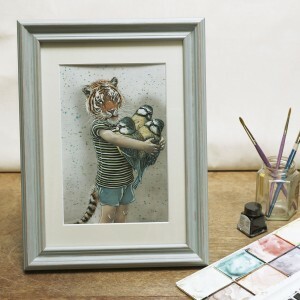 Remaining stock from my stall at the Summer Arts Market will be added to my Notonthehighstreet shop soon. I’m having some computer niggles so it could be next week sometime. I might start using my Etsy shop too! Here’s a photo of my stall from the weekend (photograph taken off the Summer Arts Market website). Thank you to those of you who came to see me! 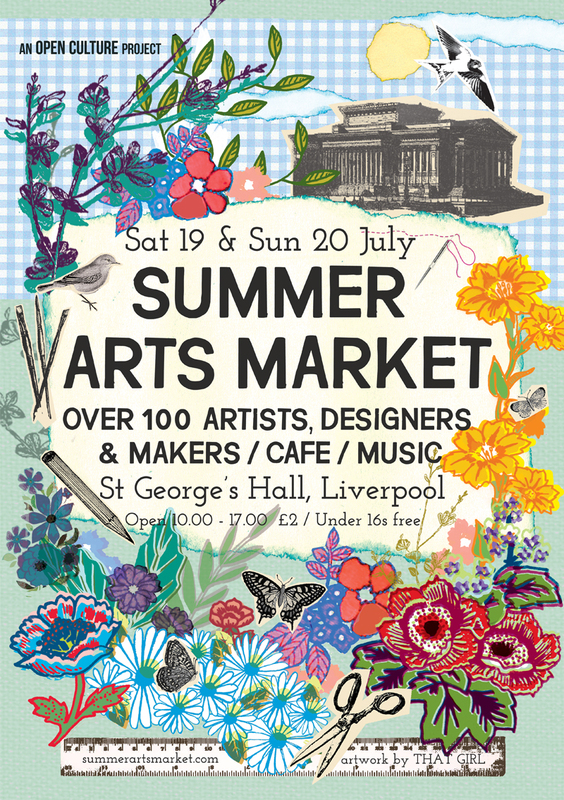 Coming up this month is the Summer Arts market at St George’s Hall in Liverpool. 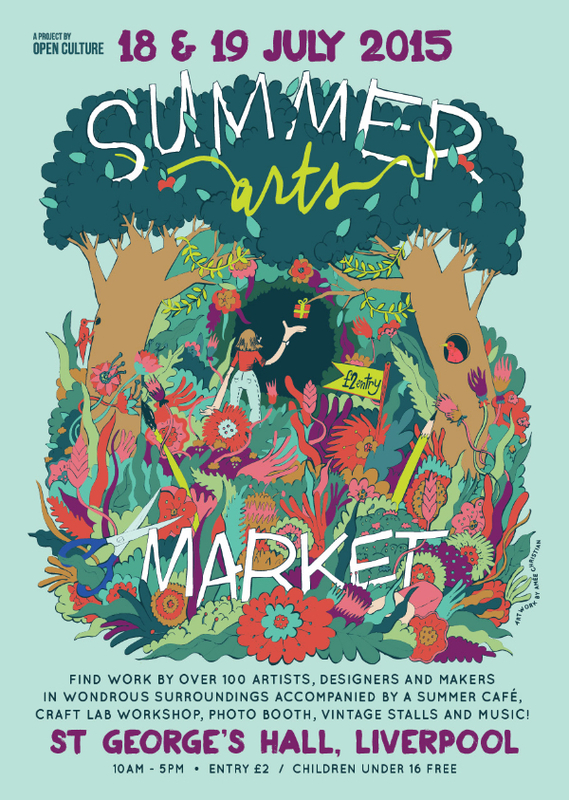 I will be selling my hand made wares there on both days (18th and 19th July). I’ll have lots of new items which I am excited to share! Chapel Gallery, Ormskirk, at their Vintage and hand made fair on the 28th November (12 noon-8pm), 29th November (10am-4.30pm) and the 30th November (10am-4.30pm). The Winter Arts Market, St Geroges Hall Liverpool, on the 6th and 7th of December. This is the most wonderful event with amazing artists and designers. I am proud to announce that I now stock some of my work in the fabulous shop called Nook & Cranny, which can be found down Bold Street in Liverpool. Nook & Cranny is a design, gift and homeware store that focuses on sourcing and stocking ‘hidden gems’ of the art and design world. 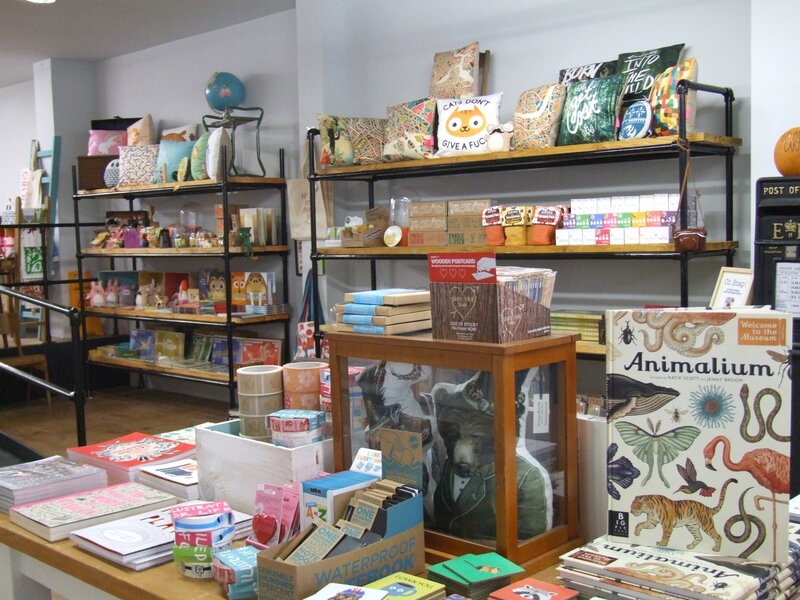 Stocked in this wonderful shop are prints, cards, contemporary homewares, reclaimed antiques and much more. 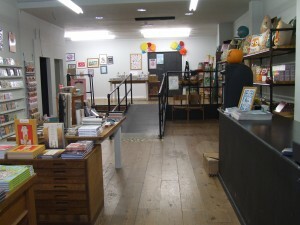 They even hold craft workshops in their store and take part in creating pop up shops and restaurants. 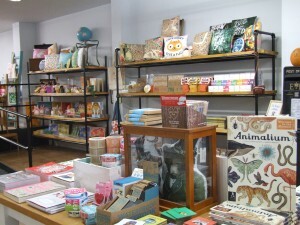 It is a perfect shop to visit, especially with Christmas soon approaching. You’ll certainly be able to find some unique and wonderful gifts. 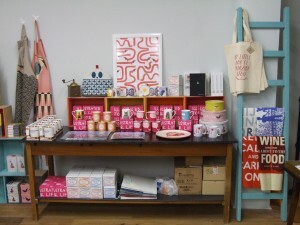 I really am privileged to be stocking my goodies in this store! They have an online shop where you can purchase some of the items they have for sale too. It can be found here. My Christmas decorations are now available in Harrods! 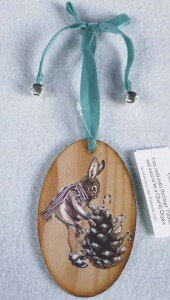 Three decorations can be bought direct from their website here. 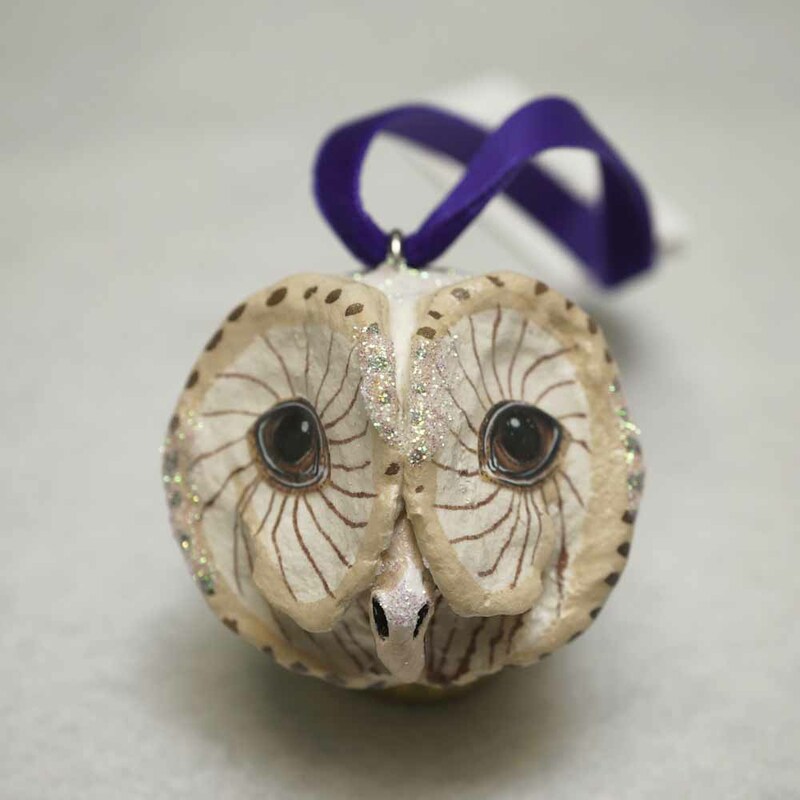 Or if you’re passing in store that is where you will find the rest of my decoration designs. Orders can also be placed over the phone at Harrods. Here’s a sneak peak at a few designs I have available. 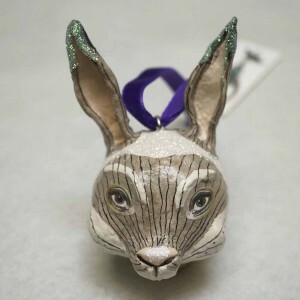 The animal head baubles have all been individually hand sculpted and hand painted. The wooden decorations have been made from a reclaimed heritage timber sourced from the UK. The majority of the wood has come from Church Organs and each decoration has been labelled with the wood type. My hand made Christmas decorations finally arrived at their new destination of Harrods a few days ago. I am so relieved! 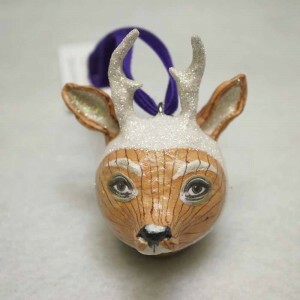 They will be going on sale in their Christmas department from around the 28th August. I am planning to visit them in September, I can not wait. So now that those are out of the way for the time being, I have begun working on my own Christmas collection, starting with the illustrations. 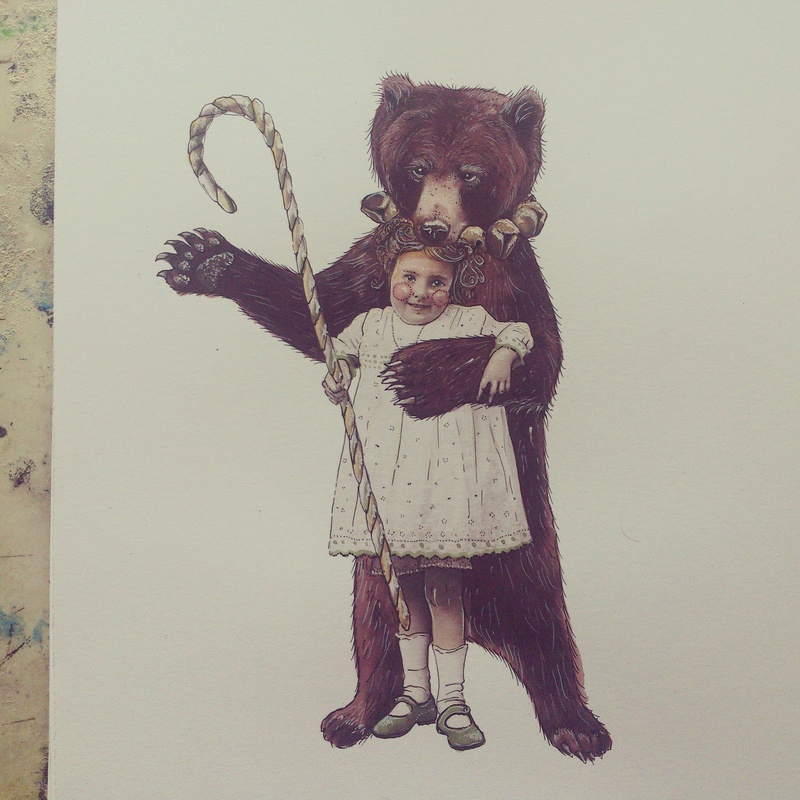 Here is the first one, the lovable dancing bear…I think he wants to eat the little girls candy cane! There are other prints available including 6 distinctive and unusual skull illustrations. All are £10 each! I’m a super busy bee getting myself ready for the Summer Arts Market at St George’s Hall, Liverpool, this weekend. 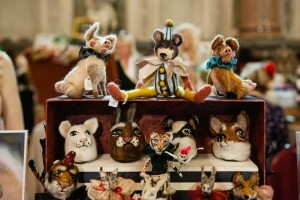 I will be selling all of my unique and hand made goodies, including some new needle felted characters which I am excited to share with my fabulous customers. 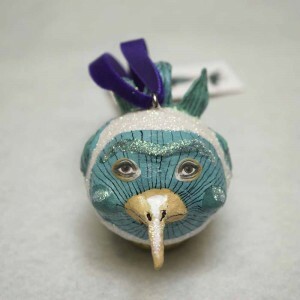 Other exciting news, later this season I will have exclusive handmade Christmas decorations on sale at Harrods! I can’t believe I have had this opportunity, I won’t believe it until I see my decorations in the store itself. It has been the toughest experience of my life creating hand made items in such large quantities on my own. Financially tough too. There has been a lot of hand cramp, sore fingers, burnt arms, a numb bum, tiredness and glitter everywhere you can imagine! Working 12/13 hour work days for 3 months has been insane. All work and no play makes…. I will post more information up about this when I get it. I’ve been a busy bee lately creating new stock ready to go on sale over the next month or so. 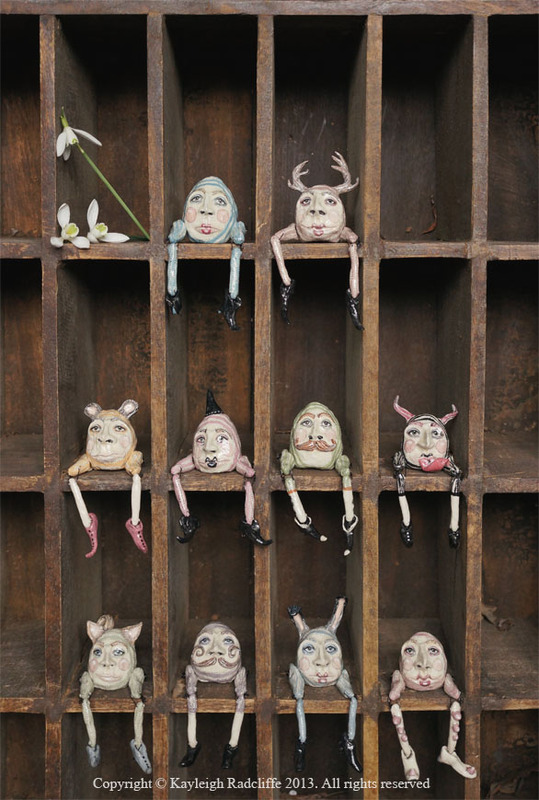 Here’s a sneak peak of my jointed clay ‘eggmen’. Each one is created by hand and no moulds are involved. Months ago, I came across a leather origami coin purse in a charity shop. I was dying to make my own but couldn’t find a suitable material to make it from! 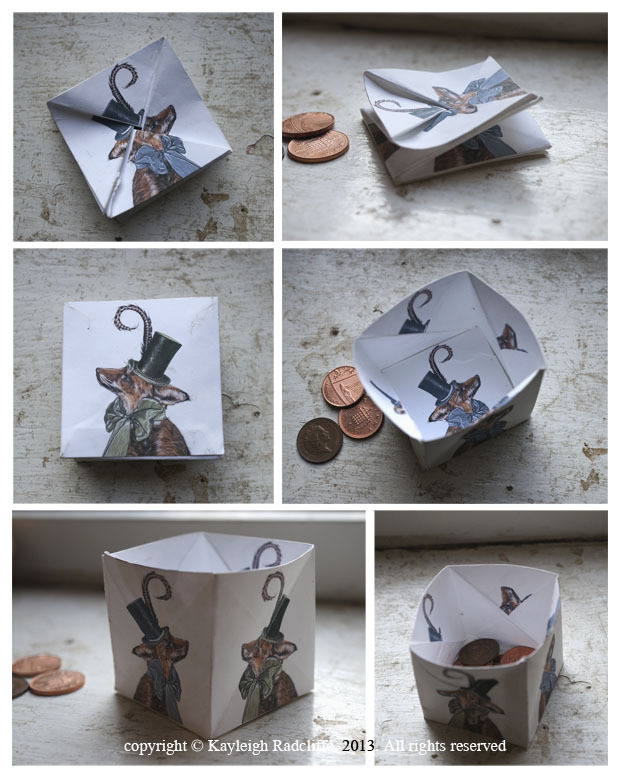 Upon being given a sample of Tyvek ink-jet paper last week, I spent today experimenting with making my own coin purse from it using some of my fox illustrations for the decoration. It’s very messy for my first attempt, but amazingly it works.